Sorry but I can’t and won’t subject my true friends to this game of greed and lies. The rework and then massive neffing of CVs was the last straw. This game went from being the best and a lot of fun, to eh I’m bored what should I do to kill an hour or two. I use to play with a core group of 26 people, but because of thing WG has done with overpriced bundles, catering to select groups when they cry about something is to OP or just overall bad management of the game, I am the last of the group. So WG if you want more players, pull your head out and get back to being the game you use to be. Until then, anyone asks me about World of Tanks or Ships, I just tell them the truth, there is no recommendation forthcoming. So you reworked CVs to get more players to play CVs, then Nerf so hard that no one can stand playing them or even being useful in them. And then you cut them out of Clan Wars once again. Why did you even bother, you just should have left CVs alone all together. Also still only on BB per side, one of the most played ships in the game. What’s wrong with having one of the following lineups; 1. 1CV 1BB 3CA 2DD 2. 2BB 3CA 2DD 3. 1BB 3CA 3DD It would make it a bit more exciting if you could mix up a little so you’re never sure what the other team is bring. I would love to be a fly on the wall when you guys are in meeting thinking up this stuff for clan wars and reworks so I could understand your thought processes, because simply you are not thinking about the player base when you do. Well have fun, I will sit this one out, not worth the time nor effort, maybe next time. I guess they didn't thing this one all the way through; You don't earn ACHIEVEMENTS in CO-OP, which is all I play and have done so far for this mission. Great job WG, screw the player base once again. Just one more reason to stop playing this game. Are you shitting me? There are 4 Parts to this mission? This is [edited]. Finished the Exeter Mission; so do we now have to wait for the prize? Have not seen squat yet. WINNERS - Competition: Win Premium Ships This Weekend! Cool another event only a small handful of players can get anything. Which is fine, they have to do something to keep their top players happy. Beside it cost WG nothing, the winners most likely have these ships anyways, hell I am a mediocre player and already own both the ships. Besides, I don’t play random battles, to toxic and bad sportsmen ship there. I’ll just keep sail in COOP. Good luck to all and may the best Unicom win. **UPDATE** Took 3 more battles for the meter to update itself. Should it take this long, or should it do it after each battle to show current status? Exeter's last Stand Part 3 not working correctly. Did two battles, 1 in my Cossack getting 1 Ribbon. 1 in my Icarus getting 3 Ribbons for a total of 4 Ribbons. Event meter only is giving me credit for 1 Ribbons. Not sure how many others have had this issue. I have the HMS Exeter, I love playing it and she is not a bad ship. She has a slow reload of the main guns, but they are accurate and do nice damage. Her hull is a bit weak, don’t show your broadside you will be punished for it, but in a head on or obelic she does pretty well, having Hull Heal helps. Her speed and turning are good. She can fight and win in her tier and does pretty well in tier VI and VII matches if handled well. I was surprised that it was for sale at $35, which is why I got it. Most ships are way too expensive and I will not spend that kind of money, especially with all the fluff they add. So for the price, you get a lot of fun out of it and she gives back in return with credits and XP earn. That’s just my take on this ship. Well said, thank you. Now if we could get WG to read it, it would better. Or the ability to hide or be AFK and let your team carry to the next level. Which is why I hate the way Ranked Battles is set up. Congratulations to the top 10 As for Ranked, I could only go so far before I got feed up with the teams and the system WG used, IMHO this was the worse Ranked battles yet. I also hope someday WG will figure out what "Ranked" really means and stop running team battles under the flag of Ranked Battles. We need to speak out against pointless CV nerfs! 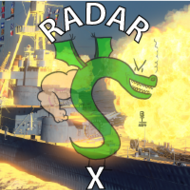 Good luck with trying to get WG to understand what they have done to the carriers. Talking to WG about this is like trying to teach a pig to sing. It’s a waste of your time and annoys the pig. They are going to do whatever they want and could care less about the players, and then turn around and tell you how great everything is. This is a joke right? More WG propaganda to get players to spend time and money on a section of the game that the developers had destroyed so badly that the ships should be removed from game. In the hands of an average CVs are a black hole within a team. Players struggle to conduct attacks only to have ships AAA open up on them be for the planes can even spot the target, doing massive damage to the squadron. Those lucky enough to get the planes in to conduct an attack are rewarded with little to no damage from the weapons delivered. And God help the CV that is bottom tier. Let’s take the HMS Furious, 6 planes are lunched to conduct an attack, you approach your target and hit the attack button, 2 (yes 2, and only 2 planes) peel off and conduct the attack. So now the AAA goes from shooting at 6 planes down to 2. You release the weapon and POW you get a hit, may be two and then you watch the HP bar of the target barely move. DDs and CA can fire a full spread of fish and wipe a BB of the map in a single salvo. I don’t understand why all 6 planes can’t attack as one. Why did WG nerf the weapons to the point you might as well attack with tennis balls. 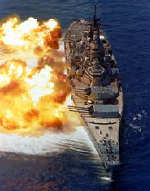 CVs have little to no chance to defend themselves once an enemy ship gets near. Carriers were a small pain to start with. Then the rework came and they got a bit better. Then the crying came, so the nerf bat came out while they were still doing the rework and smack the carriers so hard that they are nothing more than weak transport ships. As for spotting, well WG saw fit the ships can spot tiny squadrons in the air at range before the squadrons can spot a massive ship at sea. This has been worst handled update/rework in the game’s history. They need to fix it fast or pull the plug, either way they need to stop blowing smoke up our backsides and trying to sell on how great playing carriers are, because it’s on big fat lie.